Hello, my name is Victoria Lynn Hall and I believe in art. For my first "I Believe In Artists" feature of 2017, I decided to interview an artist I've known for a very long time, me! And now that I have, I would just like to take a moment to apologize to all my past and future interview subjects. I really had no idea how difficult these questions were until I had to answer them myself! "Treasured" Acrylic on 11x14 Canvas. 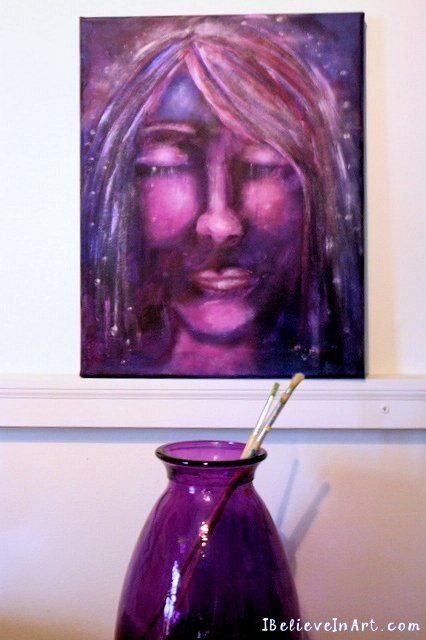 Click here to read a blog post inspired by this painting. Me: Attempts to tell a better story. 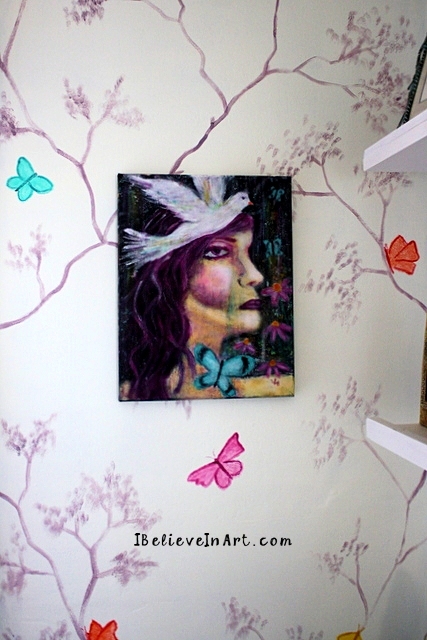 hung on a wall with my hand painted mural. Me: My favorite artist is Claude Monet, because of how hopeful his paintings make me feel and also because they inspire me to look at the world differently. Learning about Monet and his art taught me to really notice and appreciate the magic and movement of light and color, especially in nature and in my garden specifically (you can read more about that by clicking here). I would also like to say that since starting the I Believe In Art Facebook Page, I have encountered so many talented artists who inspire me with their work and their creative spirits on a daily basis. "Hopes and Dreams" Acrylic on 11x14 Canvas. Click here to read more about this painting. Me: I am always creating in many different mediums for many different reasons. 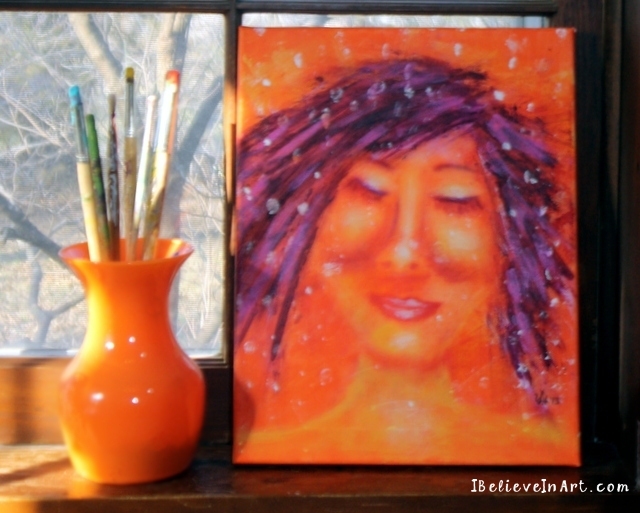 However, when it comes to painting it is often frustration that leads me to my easel. There is a certain kind of angst I'm prone to that only pushing paint around a canvas can relieve for me. For me, creating art is an act of self care. I count on it to restore my faith and renew my optimism. "Light Dawning" Acrylic on 11x14 Canvas. 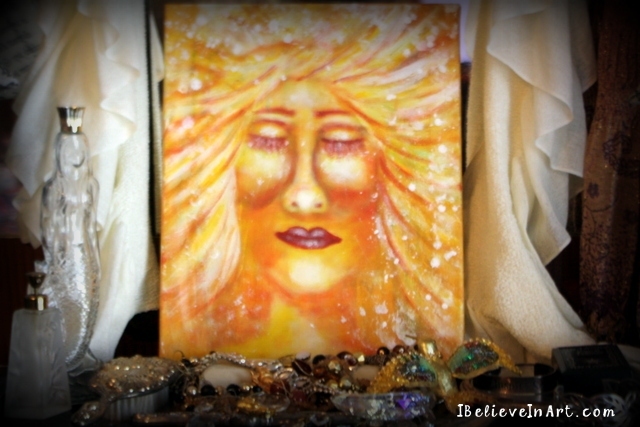 Click here to learn the story behind this painting. Me: I love it when I am in that creative zone where my intuition kicks in and I just know what to do without questioning myself. 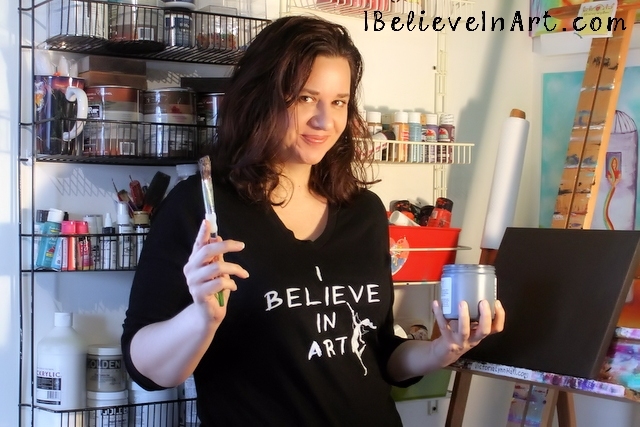 Experiencing that through my artistic process has taught me to trust my intuition more in other areas of my life. Me: The most challenging part of the creative process for me is just getting started. There is always that perfectionist, procrastinating side of me (that I call my anti-muse) that I have to battle before I begin anything. She never thinks I'm ready enough or good enough, so the challenge is to get to work in spite of that and keep going until my intuition (aka my muse) kicks in and shuts her up. 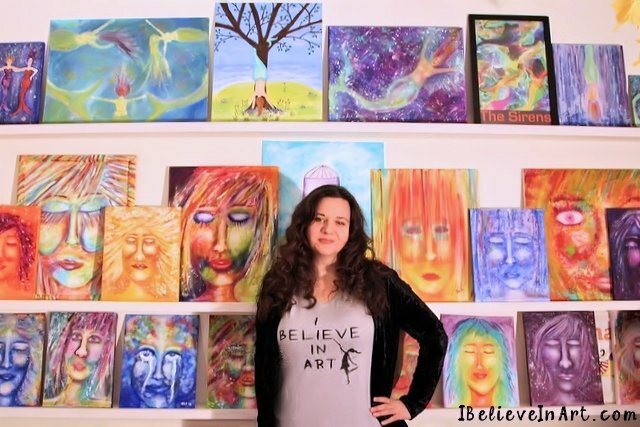 Me: On a personal level, believing in art means believing I will know something after I create art that I didn't know before I created it - that it can unlock doors in my perception and help me see myself and the world in a better light. 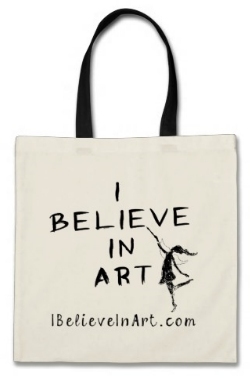 The I Believe In Art Manifesto. Click here to read the story of how this was born. Thanks so much for reading. 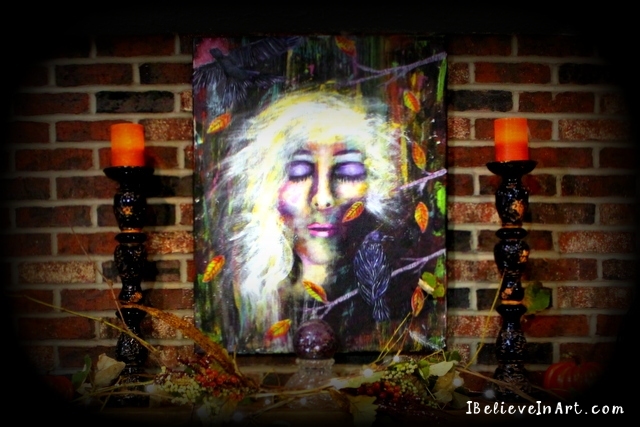 Some of my paintings are available as canvas prints at the I Believe In Art Shop (Click Here). 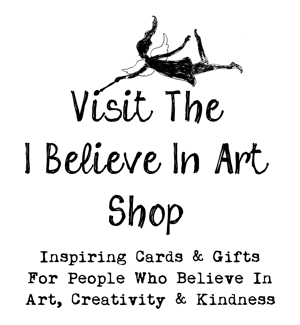 And as always, you can connect with me through my I Believe In Art Facebook, Instagram and/or Twitter accounts. Oh and if you are an artist who would like to be interviewed for this feature, please click here for more information. Thanks again and happy creating! "creating art is an act of self care. I count on it to restore my faith and renew my optimism." That nailed it beat. Thank you,Victoria for all of this. Inspiring and supportive. And your art is gorgeous. Oh, thanks so much, Aprille! I'm so glad you found inspiration here. And your feedback and support means the world to me. Happy creating! Aprille says it best! Thank you, Victoria! Always so wise! Thanks, Paige. I always appreciate your encouragement. I love the question and answer format that you used in this article. Your message is dead on. The world would be a poorer place without art. Hi Lorraine. Thanks so much for the positive feedback! I love how you're so creative, fun and passionate. Thank you for sharing. I like how you said your intuition comes in and you don't question yourself. Thank you so much for sharing such truthful thoughts and your encouragement. I love your paintings, they are so colorful. Also for me Art is healing, can't miss the appointment or is bad news! Thanks so much for your kind words. 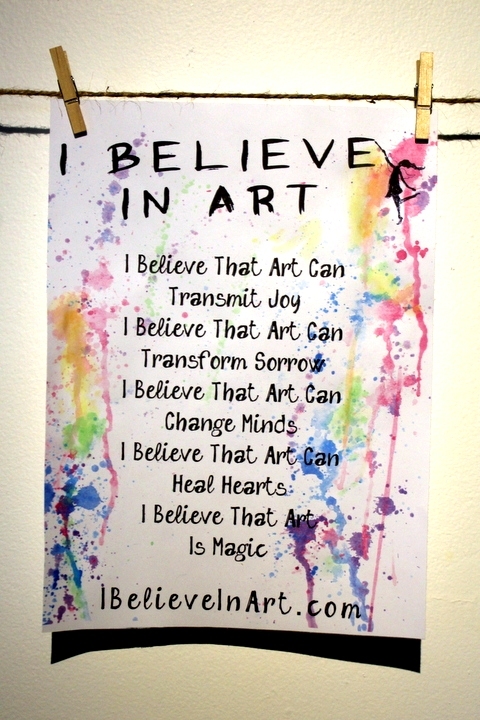 Yes,art heals! Happy creating!